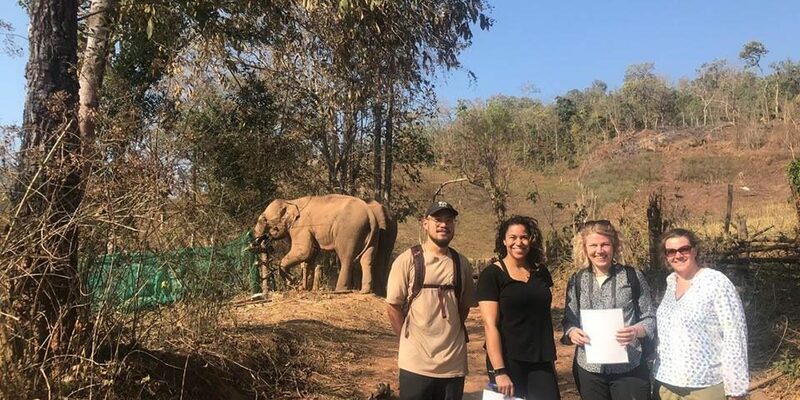 When I came across the KSES website during my volunteering research, I was immediately struck by the sanctuary’s goal to bring elephants home to the forest – something which up until this point, I had not read about or seen on any website or Facebook page. All of my research pointed towards sanctuaries which provided tourists with the opportunity to spend time, feed, cuddle and bathe with the elephants, but nothing about where they were living and the importance of them coming back into their natural habitat. Let’s just say I was sold. Fast forward to three weeks later, and I have come to find out that KSES is about more than just humans interacting with the elephants. 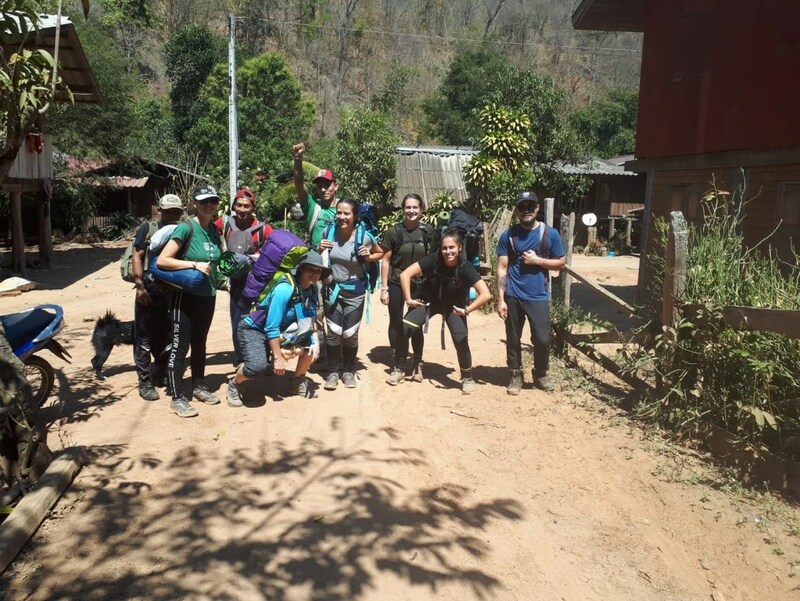 Don’t get me wrong, you do interact with them a bit every day – through daily hikes and banana feeding, before taking a step back – but there is more to KSES than people just meeting the elephants. Bringing elephants back into the wild after going through stressful, and in some instances, traumatic experiences, means observing their behavior day in and day out. Additionally, as KSES is always looking to bring in new elephants to the sanctuary, the team needs to make sure the current ones are adjusting well to their new environment and to each other. 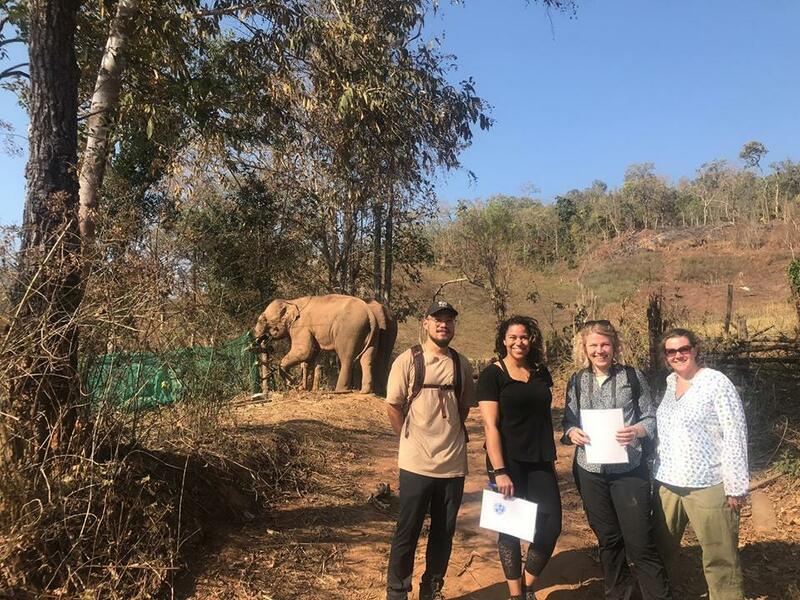 In staying at the KSES, visitors and volunteers will look at the behavior of the elephants during the daily hikes which will then be compiled in a chart studying their proximity and in their diaries. One of the research sets is looking at which elephants were closest to each other during the observation period (about 1h30) and how the proximity evolved in that time frame. It allows the team to know more about each elephant, while studying how the newest arrival (Dodo) or the youngest (Gen Thong) are evolving within the sanctuary. The diaries are compiled by different visitors or volunteers who note how each elephant was doing on that day. Did they come out for bananas? Were they playful? Did they show signs of aggression? Was there interaction with another elephant? Was there some excitement or trumpeting? Additionally, as part of their larger study of elephants, the team at KSES also observes elephant sleeping patterns through the use of camera traps at night taking notes on when they are sleeping laying down, standing up or awake. 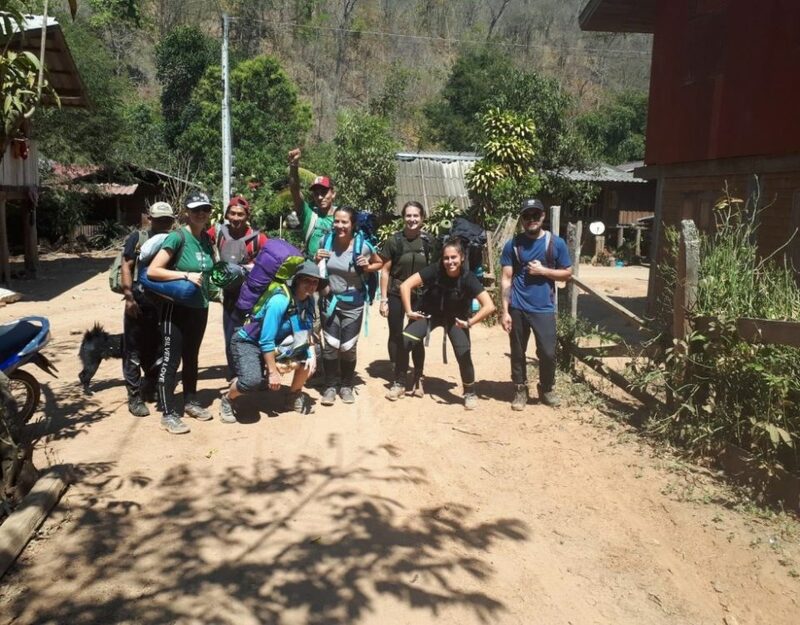 Ultimately, I have learned more about elephants and their behaviors in the past three days at KSES through our hikes, studies and thanks to the knowledgeable team who is always happy to answer any questions, than ever before. The sanctuary provides a lot more than just interacting with the elephants, and to be honest, I wouldn’t have it any other way.